We have a CANON DSLR/SLR CAMERA LENS ADAPTER for C-MOUNT MICROSCOPE. Available for rent. If you require this item please send us an email using the contact form stating clearly your planned shoot location and estimate of how long you may need this equipment. We’ll respond as quick as possible. Canon digital SLR or SLR camera C-mount lens adapter to be used with both medical, compound, inverted and stereo microscopes! Our outstanding microscope adapter has Wide Field achromatic coated lens which allows you to fully utilize your Canon DSLR and/or SLR cameras for microphotography. It is designed such that you can achieve perfect image using any type of Canon DSLR and/or SLR cameras,without any additional accessories! C-mount adapter sleeve for stereoscopes. They can adapt the Canon DSLR digital camera to both the standard C-mount trinocular phototube. Place the lens adapter into the compound microscope ocular tube. Adjust microscope to focus on the objective to the sharpest on LCD of the camera. Make sure the illumination under the microscope is bright enough. Press Focus on the camera and take an image. 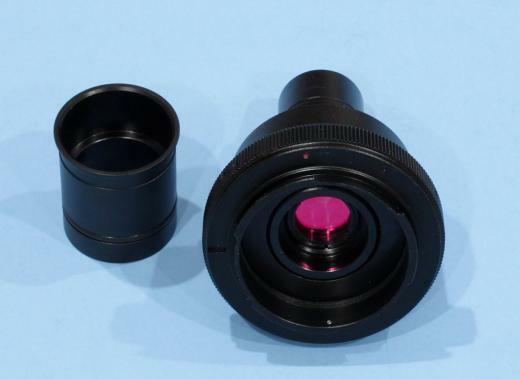 For stereomicroscope, place 30 mm adapter sleeve over 23 mm adapter, and insert the assembly into 30 mm ocular tube. DOP 2014 reel rough v1 from Rick Pearce on Vimeo. SHOWREEL 2014 from Rick Pearce on Vimeo. Nobody was sure if it could be done but we did it. We Line Produced Noize Suppressor’s gig at UNSW Roundhouse and brought our OB Van and six cameras. We streamed it live with Pay Per View..
Only the strong will survive – Small, regional media players could be the first to go if the government scraps ownership restrictions. Analysts are expecting a frenzy of merger and acquisitions activity in the media sector this year if the media ownership rules are relaxed or rescinded. The Abbott government has made it clear that it wants to scrap the cross-media ownership restrictions, arguing that the restrictions are archaic in the internet age. The share prices of traditional media companies have been hit hard as they battle falling print and television advertising. If the rules are scrapped, it is likely that the regional television operators and perhaps APN News & Media, the Australasian newspaper publisher and radio licences holder, would be the first to go. There are up to 113 billion reasons why, according to US media analyst Laura Martin. Energy company Enron pioneered the idea of internet bandwidth trading – the buying and selling of spare communications capacity – back in 2000. Like its creator, the idea crashed and burnt a couple of years later. Now, a new Australian company, intabank, has revived the concept. Intabank allows companies needing additional, short-term connectivity to purchase it from others with excess capacity, rather than buying from service providers that normally require a long-term commitment. It is the brainchild of chief executive Andrew Sjoquist, and sales and marketing director David McGrath, co-founders of Australian cloud provider ASE. Amazon Studios is hell-bent on developing movies and TV series, and on top of script submissions, it’s now asking filmmakers to send in 2-15 minute long shorts to pitch their feature-length film ideas. Those would serve as a foundation for your project and “express an idea that’s begging to be seen on the big-screen, in full-length, full-budget form,” according to the division’s Hollywonk blog. Amazon Studios will spend 45 days evaluating each submission, and those added to the development slate will receive $10,000. After that, you’ll get put into the development pipeline, which could get you paid writing and directing opportunities, guidance and feedback from partners like Warner Bros., and up to $400,000 if your baby hits theaters. Private submissions are welcome, but if you’re feeling brave, you can also post it for the world to see — hit the source or More Coverage link for more info. IT SEEMS old habits die hard. Despite being sold as the next must-have item for technology-savvy homes, the vast majority of ”smart” television sets remain unconnected to the internet. And industry executives report that of the 1.5 million sets that are connected, a small percentage of people are actually surfing the internet for programs to watch. Smart TVs are marketed as the gateway to the internet, where a wealth of programs is just waiting to be found. But the reality is few people have ventured forth. Manufacturers such as Sony, Panasonic, Samsung and LG are banking on the sets to deliver a sales fillip after the market for flatscreen TVs plateaued. Market leader Samsung, for example, has done deals with YouTube, ABC iview, film rental company Quickflix, Foxtel and Wiggle Time TV for them to appear as apps on its screens. Smart TVs and set-top boxes such as Telstra’s T-Box are part of a new wave of operators attempting to woo the 75 per cent of the population that are not subscribers to Foxtel or Austar into paying for some TV services. But Mr Rousselot said that even when presented with a choice of subscription channels, the viewing habits of his T-Box subscribers remain unchanged – they still watch the same free-to-air channels in much the same numbers as they did before they paid their $11 monthly subscription. The editor of PricewaterhouseCoopers’s Entertainment and Media Outlook, Megan Brownlow, is not surprised. Although connection figures for all TV sets are unavailable, Samsung disputed the figures, saying 60 per cent – roughly six times industry estimates – of the 600,000 sets it sold are connected and that in one month 150,000 clips were accessed from the internet and watched.